Weight: Before 118.4kg After 111.1. Waist Measurement: Before 134 cm After 115cm. Hip Measurement: Before 144cm. After 132cm. This was the opening line of my story about why I wanted to enter the 20 Week Challenge. At that time almost 20 Weeks ago, this wasn’t just a story; this was my perceived reality. Even though I had just completed the Manawatu Toyota Ladies Only Triathlon, doing the bike part in a team,my focus was very weight and size orientated; and when I looked in the mirror I saw, amongst all of the rolls and stretch marks; immense disappointment. I felt failure in every cell of my body, and was living a very disillusioned life. I felt that if I could just lose all of this extra weight and get down to at least a size 12, all of my problems would be over and all of my issues with my body will be gone. I come from a past where I was always bigger than my peers, and even though I was so active, playing sports and getting involved fully with any physical activity; because I didn’t look the part, I was a semi-easy target for teasing. Being an only child, the weight of the world can feel like it’s compounded by all of the hopes and dreams of your parents. The sacrifices they made to give me an amazing life are awe inspiring, and they did it all with little to no money. I think growing up poor taught me to appreciate having each other. So as long as I had them, nothing else mattered. Things changed when we moved to Taupo, and instead of relying on the co-dependant relationships I had with other childhood friends and cousins, I was forced to come out of my shell and stop running with the crowd. It was my chance to get to know me, and you know what?! I was pretty cool! Those years of life were probably my fittest and leanest era. I was still bigger than my friends, but not by much, and I was happy! Since I was a child I dreamed of joining the armed services. My dreams extended to the plan of joining Police full time and Army Territorials (Part Time). This would send me down a very structured line of career progression, and I would need to be a certain size and weight to be able to do it. Being paid to be skinny and fit sounded like a pretty good deal to me. I looked up to people who put their lives on the line for others, and being in the Police and Army give you a chance to do just that. Then when I entered into a less than enriching relationship and got pregnant at 17, that dream seemed gone forever. Naturally my parents were immensely disappointed and I ended up leaving school half way through 7th Form. My self-esteem hit rock bottom and my weight sky rocketed. Pregnancy and childbirth were not kind to me, and at that stage I was still an Omnivore.Almost 9 years ago now, just before my daughters 1st birthday, I separated from her father and decided to devote my life towards a ‘meatless’ existence. I became a Lacto-Ovo Vegetarian, after a horrific dream. I believe it was the first time in my adult life that I had listened to the truth within me. To my surprise, my weight came down and I got stronger. My self-esteem increased and I found a passion in teaching. Early Childhood Education was my stepping stone, and it let me see that I could still get to the forces. Jodie came to me with big plans and a real desire to make these 20 weeks of her life count for something special. She made contact with me about joining the 20 week challenge and we meet at the Gallery cafe for coffee as we started to chat Jodie pulls out her journal for the 20 weeks and on the front page was a 2 page profile of me she had done the research and picked me for her trainer WOW, but the news got even better for Jodie she entered The Classic Hits challenge and was picked to be my client in the their part of the challenge. Last week I was away competing and Jodie took our 20 week Saturday morning classes for a Yoga lesson she was so excited to be sharing her passion and skills with the group, Jodie has always been an inspiration to the group but after the positive feedback I have had from them they now have a true respected for her fitness and strength. The 20 weeks has changed her one life, BUT HER ONE LIFE is going to transform so, so many more lives in a way no other person could. I am so proud of Jodie’s 20 week Journey we have become great friends and co fitness professional s changing lives for good one person at a time. Well Done Jodie you are already a winner in the game of life. By the time I found my ‘significant other’ and was blessed with my son, I was in full swing toward life in armed service. My partner and I had fallen for each other as the result of a common goal to join the military. So I studied at Massey in Defence, and was captivated by the diversity of life. There were so many different nationalities and cultures, yet I felt a deep seething emptiness. Where did I fit in? It was at this point that I knew I needed more. Soon my world was blessed with Yoga, Kung Fu, Zumba, Taiji & Qigong; each requiring ‘one’ to go deep within. I had watched my Dad thrive when he was involved in Taiji and when I came upon a wonderful teacher, my heart felt home. When I was younger, Dad and I did Karate together, so when my partner and I realised there was a Kung Fu hall right around the corner from where we lived, we decided it could be something to do together. It reminded me of my Karate days with Dad. Zumba being the craze at the time attracted my good friend TeRina and I from its sheer vibrancy and expression. It was born of a yearning to get active, and shake our booties to bring out some of the fun and laughter we’d been lacking. We found two beautiful instructors, Rowena and Yvette who are now much more. I treasure their friendship. As for Yoga; Yoga had found me almost 9 years ago while I was still living in Taupo. A lady approached me at the time asking if I would like to go try her class. It turned into my ‘me time’ in my newly single solo Mother state. This filled my soul. When I came to Palmerston North I was fortunate to find the Zing studio, not for Yoga at first, but for guidance. Even with my beautiful practices, I was still living very much with the burdens of the past. Nat, the founder of Zing gave me tools for clearing out some of the clutter, and before I knew it, I was diving on a mat, and reliving some of the bliss I found those many years ago. So now, with the combination of each of these practises, I was in a wonderful space, and with that, I found my next step. 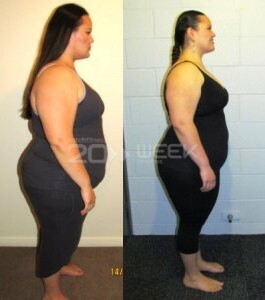 The Catch Fitness 20 Week Body & Lifestyle Challenge. My journey started with the most phenomenal trainer Roger Symes. Together we would train from Snap Fitness Palmerston North. It was a team made in fitness heaven. Many-a-‘Hot Mess’ was to be had over the 20 Weeks; and it is with great pride that I can call Roger not only my trainer, but also my friend.His infectious zest for life flowed into my veins and it was humbling to see the transformations in not only myself, but other of his clientele; and not just in a physical sense but also of the emotional aspect. I was observing a shift toward holistic well-being through example and inspiration. Thank You Champ! Over the first 10 Weeks I maintained steady weight loss, and found great joy in gym workouts, while continuing to practise my Taiji Kung Fu & Yoga. I carefully monitored my food intake to ensure the Vegetarian devotion was nourishing me enough. My next step was realised when my dear friend Femmy told me she was going to do the Taupo Mizuno Half Marathon in August in celebration of her birthday. Thank you my lovely. This was my next challenge. Thus, my running schedule was born… I had moments during the holidays when my children came along on their bikes, but I spent most of the time trying to course correct my son. Lol just as well he has a bike with a push bar!For the most part, it became a very lonely journey out there beating the pavement; pushing through to the next step with nothing but the internal dialog and the road ahead. Rhythmic breathing and mental fortitude were crucial to get over the Half Marathon finish line. Though it was in the days after, when walking was achieved with great difficulty that I faced the reality of what I had achieved. Finally I succumbed to the fact that I was to become a Yogini! How profound this decision would prove be for me. My spirit was being lured into Yoga, and what made me see how good it was for me, was the effect it had on my body. My strength and flexibility increased exponentially, it feels like my body was made for Yoga. Soon a daily practise of yoga and meditation had developed, and I started shattering beliefs of my own, and that of the Yoga world by achieving poses thought not to be accomplished by the ‘curvier’ kind. I am thoroughly enjoying my Training, and as my lovely newfound friend, and fellow Yogi Instructor Trainee Helen put it… I am not the ‘token curvy’ there. In fact there are several of us, and we have grown, along with the beautiful ‘svelte’ of us, into a blossoming sisterhood of women of vast diversity, and even in its infancy, with the culmination of the course being just under 2 years away, I feel ‘present’ and happy in my endeavours. I am going to take my fellow gym bunnies in our next Saturday morning group session through a Yoga class. So here’s hoping they turn up, and I can plant the seed of appreciation for Yoga deep within them as it is in me. I am glad this Journey was called a 20 Week Body and Lifestyle Challenge, because I have indeed encountered many a challenge and life change. Nobody said this was going to be easy. Illness, fatigue, muscular pain and injury all became challenges along the way, but the biggest challenge of all was mastering the mind. I felt tested to my very core in every aspect, and I faced great heartache and truth, when I saw clearly some very brutal home truths… I am not going to join the forces…This realisation didn’t come easy and in the form any one moment. My upper hand is that I have an inside look at the world of the military with my other half having been in over 5 years now. I have seen the Army go through 5 years of massive change. I have seen death, heartache, and deep unrest within the ranks. A place with such low morale is no place for me. Even within the Police, I could not see my heart fulfilled. The rigidity and structure no longer appealed to my wild exuberant side, which was coming out more and more. It took me 21 years to realise this was never really ‘my’ dream. It was born of a need to honour. To honour the memory of my both of my grandfathers, who each lived very different lives, and came to the conclusion of their careers in very unorthodox ways. I guess I wanted to carry on their legacies in some way. I wanted to honour my parents name by means of community service. Police investigation always fascinated me, but it was a love for the science of mind and body which got perverted within my lack of understanding, thus giving me the illusion of Policing as a way to gainknowledge and serve mysociety. Years of planning with the vision to live a life in service was drastically altered. I now livewith more clarity and see how the passions in my life could serve so much more, and I look forward to a future of beautiful music, amazing people and soul satisfying Yoga, Meditation & Taiji. The greatest joy of all will be the opportunity to share my passions with others. With the support of my magnificent family and friends, I made it, and continue to strive toward deeper self-harmony. I also stand humbled by the generosity, love and kindness of the people who have followed my journey. Your words and encouragement have inspired me and assured the righteousness of my path. Thank you to all who made my footsteps lighter when the weight of the universe seemed to sit on my shoulders. I am forever grateful. This beautiful journey has been so much more than just a weight loss or body transformation challenge. The mirror is no longer my enemy, and I find love and beautiful experience within my curves and stretch marks. My mind doesn’t see my body as an obstacle any more. Yes I have a vessel to look after in this life, and while it may not ‘yet’ look like it’s up to the task, let it be known that it surely is. This quest was the catalyst that changed my entire life. My perceptions of ‘me’go far beyond that ‘fat/large/plump/wide’ perspective I once had. I have gone fromself-hate and revolt, to self-love and gratitude. I am so much more, and from the refuge of my sheltered mind, I blossomed into the awoken being I am today, free of mind and full of life.